We are in effect creating a new digital language which will allow advanced information technology to openly and freely exchange structured information throughout the lifecycle to improve construction, operation and portfolio management of the built environment. BuildingSMART processes (IDMs) capture (and progressively integrate) business process whilst at the same time providing detailed specifications of the information that a user fulfilling a particular role would need to provide at a particular point within a project. To further support the user information exchange requirements specification, IDMs also propose a set of modular model functions that can be reused in the development of support for further user requirements. 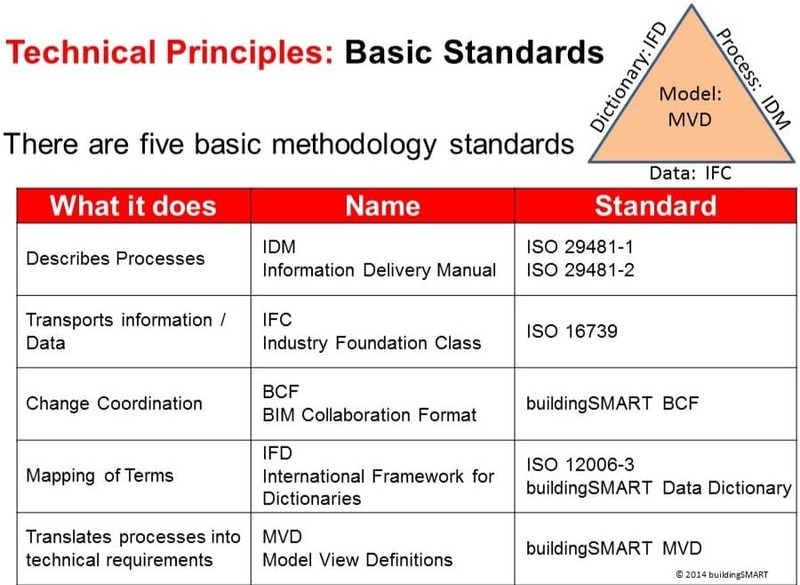 BCF is a ‘simplified’ open standard XML schema that encodes messages to enable workflow communication between different BIM (Building Information Modeling) software tools. Developed by Tekla Corporation and Solibri Inc, it is currently a pre-release that has been submitted to buildingSMART under the new “Affiliation Scheme” to become an official buildingSMART specification. The Data Dictionary is one of the core components of the buildingSMART technology. The bSDD is a reference library based on the IFD standard and intended to support improved interoperability in the building and construction industry. The bSDD provides a flexible and robust method of linking existing databases with construction information to a buildingSMART based Building Information Model (BIM).